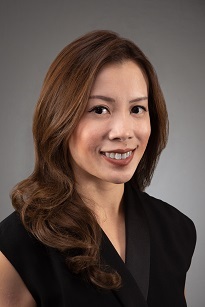 Mui Hui's expertise is in corporate finance and mergers and acquisitions. Her experience includes initial public offerings and listings, both locally and overseas, as well as fund raising exercises for both listed and unlisted companies involving the issue of bond instruments and share placements. She also advises on reverse takeovers, corporate restructurings of private and listed companies, continuing listing obligations, and other general corporate advice to corporations. She has also a wealth of experience in local and cross border mergers and acquisitions. Most notably, she has advised clients, including Mitsui O.S.K. Lines, Asahi, Great Wall Group, Delong Holdings and Teho in their investments or formation of joint ventures in countries such as Malaysia, Myanmar, Thailand and Cambodia. Her assistance includes drafting and negotiating of legal documentation, conducting due diligence exercises and providing related advice. Her involvement in public mergers and acquisitions includes acting for offerors and offerees in take-over transactions, as well as acquisitions by listed companies of interests in private companies and vice versa. Acting for a Singapore incorporated special focus medical group in its proposed initial public offering and listing on the Hong Kong Stock Exchange. Acting for a Singapore incorporated construction company in its proposed initial public offering and listing on the Hong Kong Stock Exchange. Acting for a Singapore incorporated engineering company in its proposed initial public offering and listing on the Hong Kong Stock Exchange. Acted for RMH Holdings Limited, a dermatological specialist group, in its initial public offering and listing on the Hong Kong Stock Exchange. Acted for the issue manager in the listing by introduction of Triyards Holdings Limited, a subsidiary of Ezra Holdings Limited, on the Main Board of the SGX-ST. Acted for Qingmei Group Holdings Limited in its initial public offering of approximately S$57 million. Acted for PEC Ltd. in its initial public offering of approximately S$30 million in Singapore. Acted for China Zaino International Ltd in its initial public offering of S$87 million. Advised SM Summit Holdings Limited, a company listed on the SGX-ST, in its proposed reverse take-over of a private company. Acted for Gaylin Holdings Limited in its S$68 million placement. Acted for Sunpower Group Ltd. in its S$9.212 million placement. Acted for China Minzhong Food Corporation Limited in its S$89.67 million placement to PT Indofood CBP Sukses Makmur Tbk, a company listed on the Indonesia Stock Exchange. Acted for Teho Development Ltd. in its diversification of its core business and investment into Cambodia real estate development. Advised UOB Kay Hian Pte. Ltd. in relation to the conversion of a portion of the existing ordinary shares of Oceanus Group Limited to Taiwan Depository Receipts on the Taiwan Stock Exchange. Acted for a Singapore listed property developer in a concurrent share placement and bond offering of approximately S$390 million. Acted for CentraLand Limited in relation to its delisting from the Main Board of the SGX-ST. Advising a listed company in Japan in its approximately RM95 million investment in a PKT Logistic Group Sdn Bhd, a major logistics provider group in Malaysia. Advising Asahi in a joint venture and acquisition of a beverage manufacturer in Myanmar, one of the first Japanese investments in the consumer goods sector in Myanmar. Advising a Myanmar conglomerate on its joint venture and part disposal of its sugar processing and sugar plantation business to Wilmar. Advising a Myanmar property developer in its joint venture and property development transactions, as well as its potential public offering. Advising a Myanmar conglomerate in its joint venture with several Japanese based companies in the distribution sector in Myanmar. Advising a company listed in Singapore in its joint venture in the steel manufacturing sector in Thailand. Acted for an investor in its acquisition of a MAS regulated corporate finance house in Singapore. Acted for Fullerton Finance in the subscription by International Finance Corporation in Fullerton Finance in relation to its operations in Myanmar. Acted for a P.R.C. state owned company in conducting a large scale due diligence exercise in its potential acquisition of a Singapore based company. Acted for Lifebrandz Ltd. in relation to its strategic acquisition of the business and assets of Qumulus Pte. Ltd. Advised 1st Software Corporation Ltd. ("1st Software") in relation to a voluntary conditional cash offer by Eresma Assets Inc. in its acquisition of all the issued ordinary shares in the capital of 1st Software. Acted for Thinkpac Limited in relation to its mandatory conditional cash offer for SM Summit Holdings Limited ("Summit") in its acquisition of all the issued ordinary shares in the capital of Summit. Advised MediaRing in its acquisition of the Cavu Corp Pte. Ltd. for S$22 million. Advised Clyde Blowers Capital IM LLP in its acquisition of the fluid and power business unit of Textron Inc. for approximately US$645 million. Advised Nortel Networks Singapore Pte. Ltd. and various Asian entities of the Nortel Group (“Nortel”) on Nortel’s debt restructuring arrangement involving debts of more than US$200 million. Advised several foreign listed companies in relation to the securities regulatory framework in Singapore, such as the legal and regulatory restrictions of the rights issue of shares by foreign listed companies to their shareholders located in Singapore. Advised several Singapore listed companies in relation to their corporate actions such as capital reduction exercises, share buyback exercises and interested persons transactions.